Homes and buildings can both consume and produce energy in many ways. In the world of green buildings, a variety of terms are used and some confusion surrounds their definitions. As governments focus on the imperative of reducing carbon pollution from new and existing buildings, it’s essential to understand the implications of setting energy goals for buildings. For example, a net-zero energy building may still emit significant amounts of carbon pollution if it has a natural gas furnace, or if it uses electricity produced from fossil fuels. Setting net-zero energy as a goal for new construction can help modernize building practices, but might not ultimately meet our emissions reduction targets. 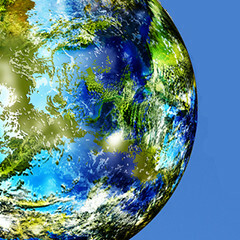 Aiming for zero-carbon buildings more specifically addresses this objective, but should be balanced with good energy efficiency to limit extra demand for clean electricity. As we prepare our building stock for the low-carbon future, the relative benefits of switching to clean fuels, on-site power generation, and energy efficiency should receive careful consideration. Net-zero energy labelling and certification bodies include the Canadian Home Builders’ Association and International Living Future Institute. 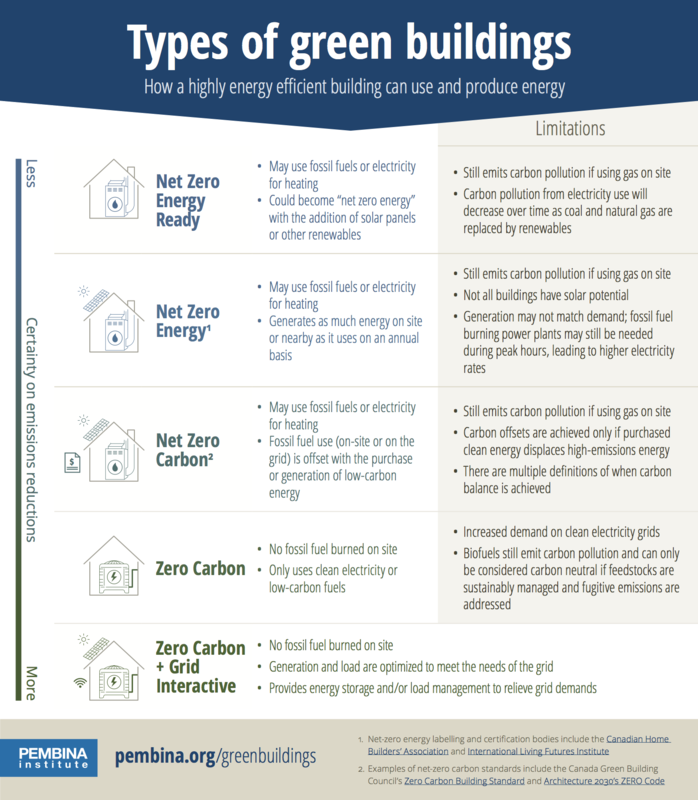 Examples of net-zero carbon standards include the Canada Green Building Council’s Zero Carbon Building Standard and Architecture 2030’s ZERO Code. 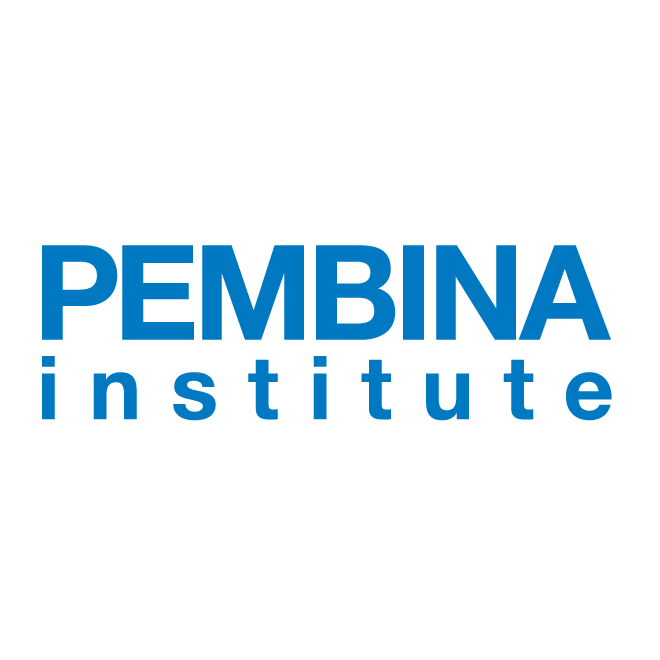 The Pembina Institute is a non-profit think-tank that advocates for strong, effective policies to support Canada’s clean energy transition. We have offices in Vancouver, Calgary, Edmonton, Toronto, and Ottawa. Learn more: www.pembina.org. Thank Pembina for the Post! 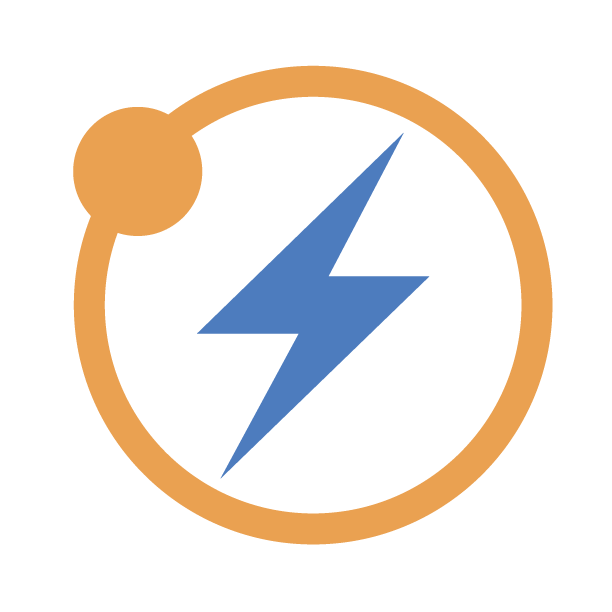 Utility pro-actively working to push Energy Efficiency and Load base programs - "Tucson Electric Power Co. has filed a new energy-efficiency plan with state regulators that would keep funding for rebates for efficiency upgrades and related..